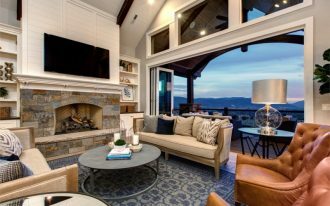 Creating a natural earthy vibe in a room can set a better mood. A refreshing and natural feeling would be radiated easily. 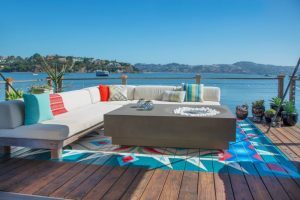 Thus, doing it in a kitchen will also raise the mood when you create and cook or even when you have some conversation with your family and friends. 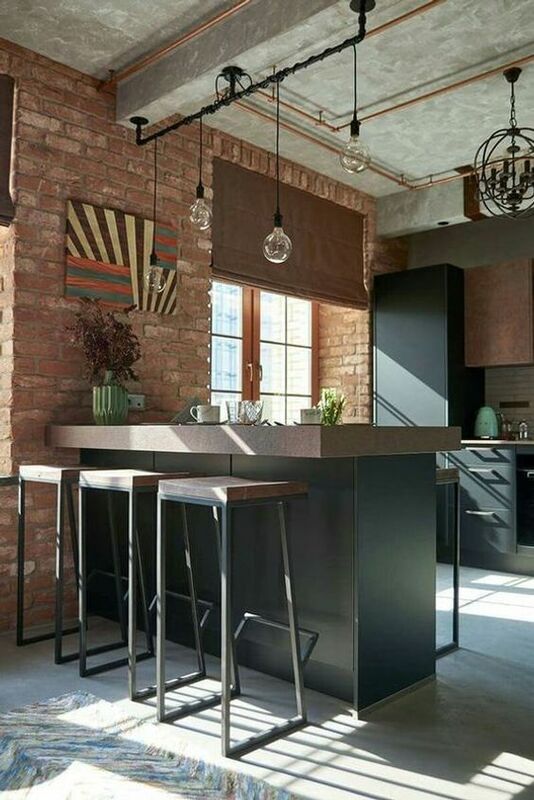 To see some brilliant look of earthy kitchen, here below are some gorgeous examples to get some inspirations from. Earthy vibe in this picture here is derived from the open brick wall in terracotta. Both the color and the texture on the wall have brought a beautiful feeling of earthy atmosphere. Often times, te rough look is the most natural character. 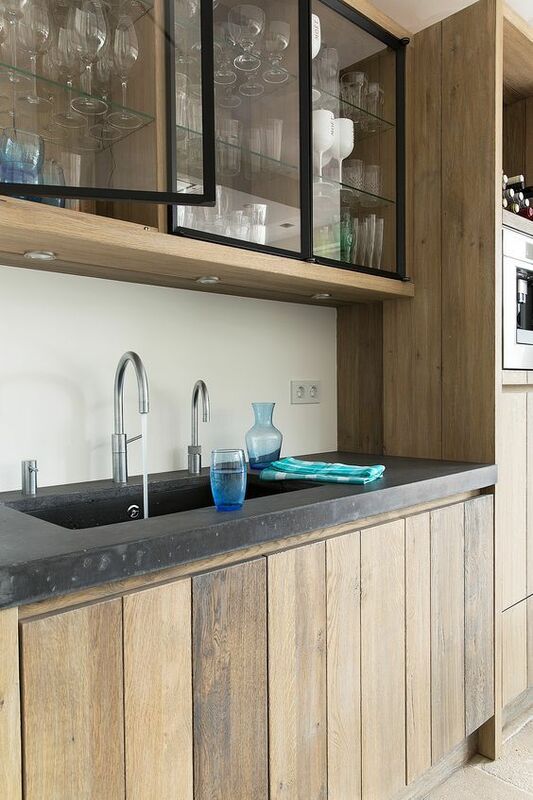 This one here has the kitchen covered in raw look of wooden boards that look rough and raw. 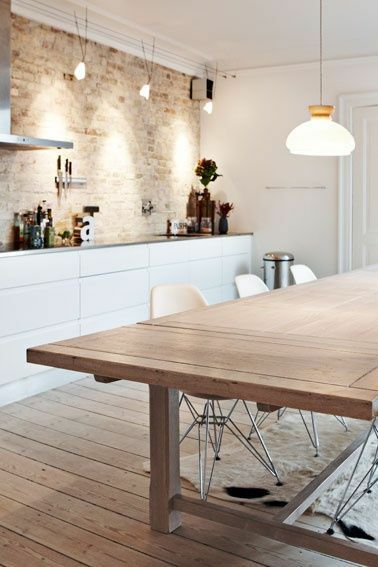 Has open brick covered the wall and floor, this one has a special vibe stored in the kitchen. 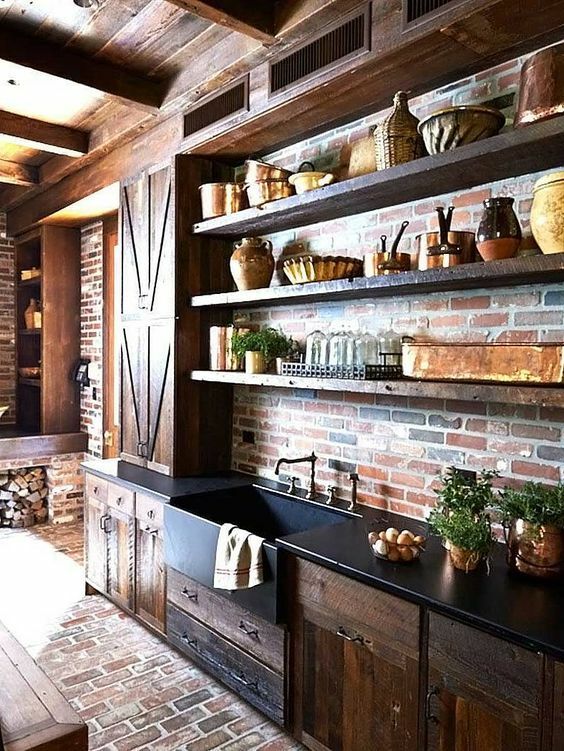 The earthy color are warm and give another rustic feeling. 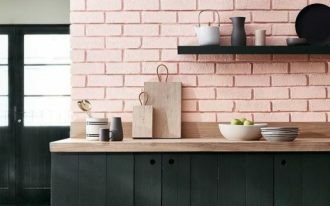 In this modern kitchen with its crisp lines, the earthy characters come out from the open brick wall, floor, and table. The white cabinet, wall, and ceiling are great combination. 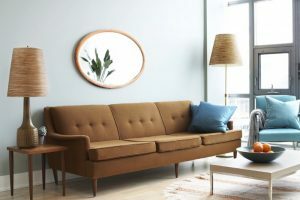 Heaving earthy look might be in line with the eco-friendly decision that has been really popular these days, for good reasons. So, having actual place to grow the plants is a great way to maintain sustainability. 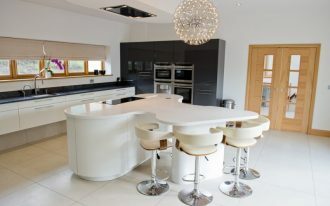 Polished in sleek lines too, this has contemporary look tat will make people fall in love easily. The contract in the furniture, wall, and natural plants is gorgeous. 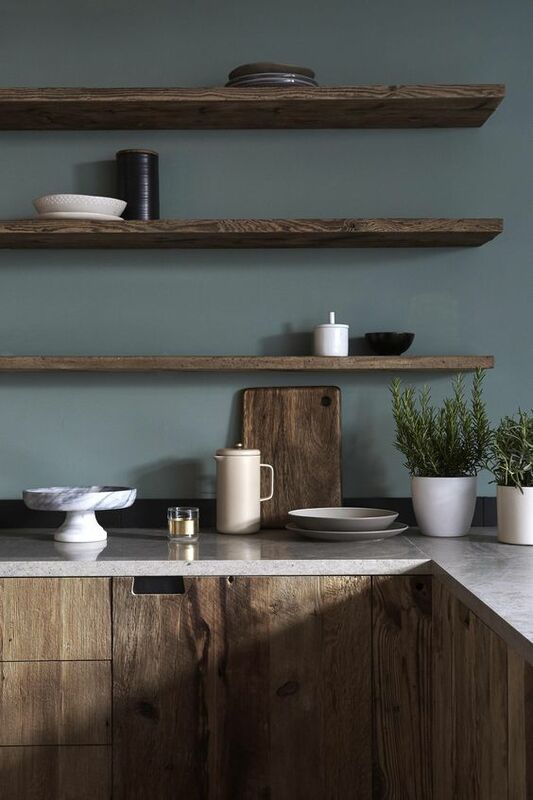 While earthy paints can look almost browni-ish, this one here is the combination of the ashen brown and green and it creates a great color that blend amazingly with this wooden floating shelves and cabinet with raw and rough look. With no uppers, this one here have a clear look on the half top of the kitchen and uses protruding wall for the substitution of shelves. 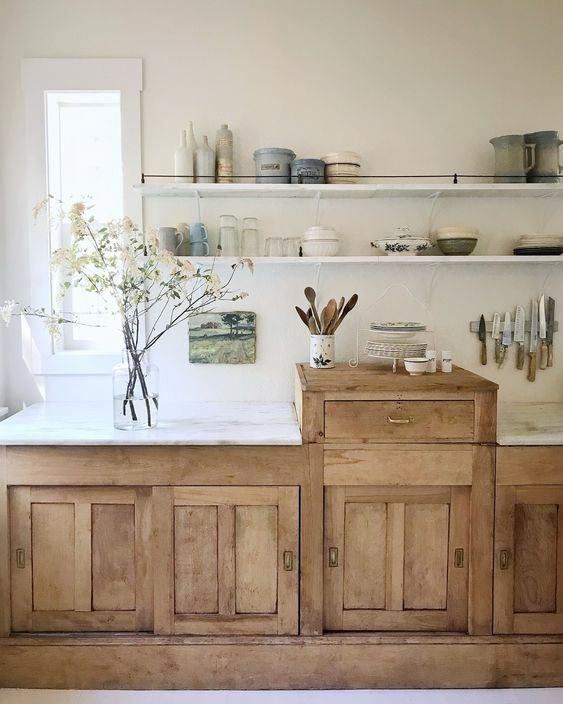 The wooden door in the cabinet and all the kitchenware shows that this one here believe in natural look. 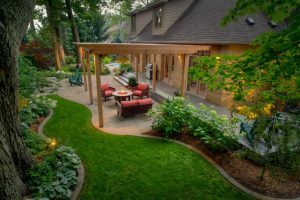 The ashen look of the wood material helps the earthy look to. Similar with the previous one, this one here shows the earthy mood through white and brown look. 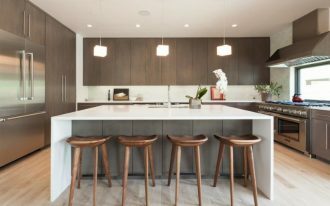 With white marble and wood material on ashen light finish, the kitchen looks natural and clean. 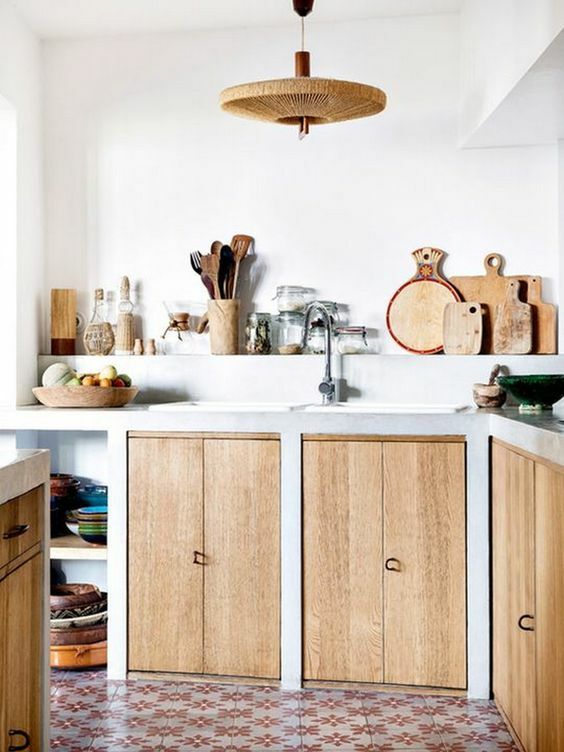 The interesting part of this kitchen is the rising wooden drawer that gives a great risen place to chop. 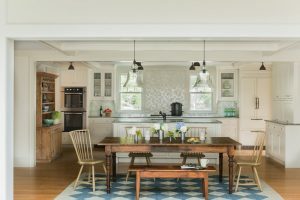 In this one here, the earthy look is in line with the traditional items like subway tiles, round dining table, and the sink. 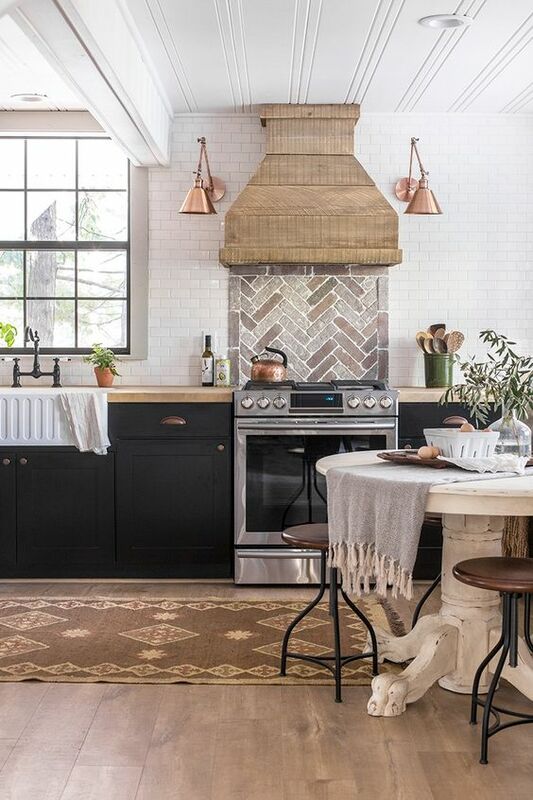 Earthy looking of hood and herringbone backsplash under look incredibly pretty. 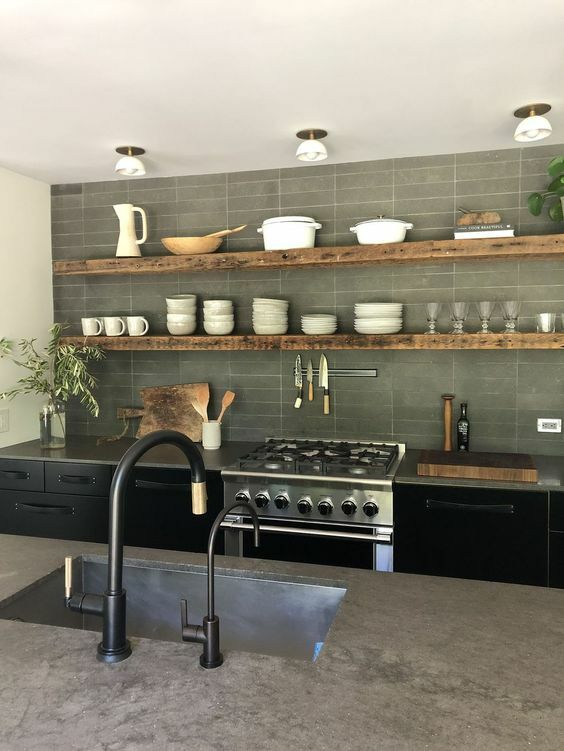 Coming from the earthy palette, this sage green looks great combined with wooden floating shelves and black cabinet, as well as the grey marble counter top. 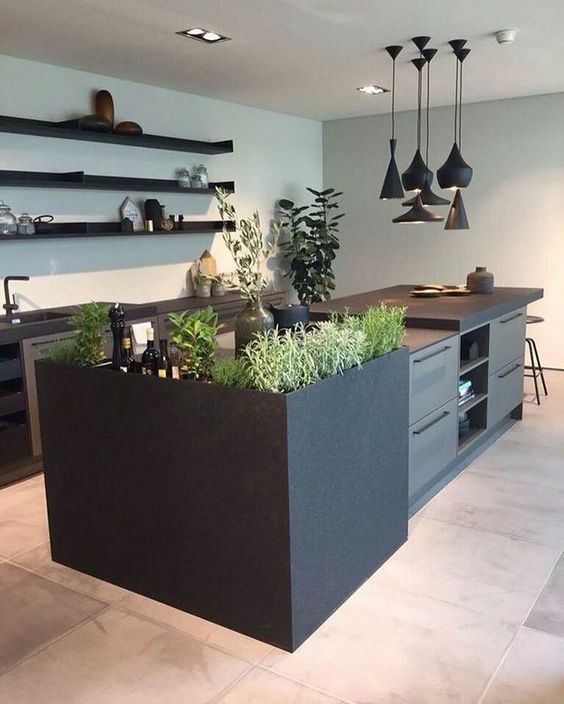 The kitchen brings natural touch with modern vibe.